We are very proud of the quality of our courses and work with a wide range of subject experts who play a key role in contributing to, reviewing and endorsing our training. This ensures our courses are always accurate, up-to-date and of the highest quality. We also work with a number of key membership organisations who offer discounts to their members. The School and Public Health Nurses Association (SAPHNA) was formed by a group of dedicated, experienced Nurses from across the UK. They are a professional organisation dedicated to the promotion of excellence in practice, taking forward the public health agenda by working in partnerships for the benefit of children and young people and the communities where they live and learn. We work with SAPHNA to review content of our Administration of Medication in Schools and Health Awareness courses. Bereavement and loss in childhood affects children and young people in many ways and the death of a close family member has been shown to be a risk factor for children and young people. EduCare worked with Winston’s Wish, the UK’s first childhood bereavement charity, to develop Dealing with Bereavement and Loss, a course aimed at people who work in schools and educational settings to help understand what needs to be in place to support anyone involved with a bereavement. In preparation for the proposed mandatory reporting duty for known cases of Forced Marriage that will apply to professionals in health, education and social care, we worked with leading charity Karma Nirvana to create a course on Honour-Based Abuse and Forced Marriage. The charity was founded by the survivor, activist and author, Jasvinder Sanghera CBE. It runs a national helpline offering direct support and guidance to victims and professionals and provides training to the Police, NHS and Social Services. Kidscape are the first charity in the UK established specifically to prevent bullying and child sexual abuse. They work UK-wide to provide individuals and organisations with practical skills and resources necessary to keep children safe from harm. They are a valued member of our growing panel of expert endorsers, and recently co-wrote the update to our Preventing Bulling course. Family Lives is a charity with over three decades of experience helping parents to deal with the changes that are a constant part of family life. Their role is to support everyone, including parenting professionals to achieve the best relationship possible with the children. Family Lives contribute to and endorse our range of child protection and safeguarding courses. Bullying UK provide a range of advice and support to children, schools, parents and those at work around bullying, including the different types of bullying and how to act if you are being bullied, or how to help someone you know who is being bullied. Bullying UK is one of EduCare’s panel of experts who contribute to and endorse our range of child protection and safeguarding courses. YoungMinds is the UK’s leading charity committed to improving the emotional wellbeing and mental health of children and young people. As Mental Health within schools continues to hit the headlines we have approached the charity to develop a course specifically to tackle this problem. UK Youth is a charity at the heart of a national network of organisations dedicated to supporting young people to realise their potential. Their focus is on developing and promoting the skills and competencies non-formal learning opportunities for all. Through regional associations and local youth groups we reach 750,000 young people each year. EduCare are delighted to announce UK Youth as an endorser of our Safeguarding Young People course. EduCare is proud to be working in partnership with the Chartered Institute for the Management of Sport and Physical Activity (CIMSPA). CIMSPA’s vision is to develop a UK wide, vibrant and professional workforce through ensuring the provision of quality training and CPD that meet the needs of the sector. CIMSPA endorse our Child Protection in Sport course and it is worth 5 Endorsed CIMSPA CPD points. CIMSPA Members are entitled to a 10% discount off the course. Anyone working within the sport and physical activity sector is encouraged to become a member of CIMSPA to take advantage of membership, professional and educational services. UKA (United Kingdom Athletics) is the international governing body responsible for the provision of World Class Performance Athletics, UKA Rules for Competition, coach licensing and officials licensing. UK Athletics work with England Athletics in Partnership with EduCare to enable coaches and officials to complete certified courses. The Independent Association of Prep Schools (IAPS) is a schools association with membership including 650 of the world’s leading prep schools. With strict criteria on keeping staff members’ professional development training up to date, EduCare and IAPS have teamed up to help offer IAPS member schools high-quality online safeguarding and duty of care training. IAPS have written two courses for us – School Development Planning and Assessing, Recording and Reporting Pupils’ Progress. IAPS members are eligible for a 10% discount on the EduCare for Education® service. The Boarding Schools’ Association (BSA) is the United Kingdom Association serving and representing member boarding schools, training staff and promoting boarding education. EduCare and the BSA have worked together to develop the ‘An Induction to Boarding’ course for both UK and International schools. The courses are designed to underline and reinforce the crucial underpinning knowledge and skills that are so necessary to any role in boarding schools and the associated pastoral duties. The Council of British International Schools is a member organisation of high-quality British schools from across the world. Safer Recruitment for International Schools and Child Protection for International Schools are included within EduCare for Education: International and have been produced in conjunction with the Professional Development Team at COBIS to reflect the unique needs of an international audience. COBIS Accredited Members and Candidate Schools are eligible for a 10% discount when they purchase EduCare for Education®. EduCare and BSME work together to offer high-quality, effective online safeguarding training and Continuing Professional Development (CPD) to British International Schools. BSME member schools are eligible for a 10% discount of EduCare for Education®. ACE Education is the leading expert on education law, providing independent advice, information, training and consultancy to parents and education professionals. 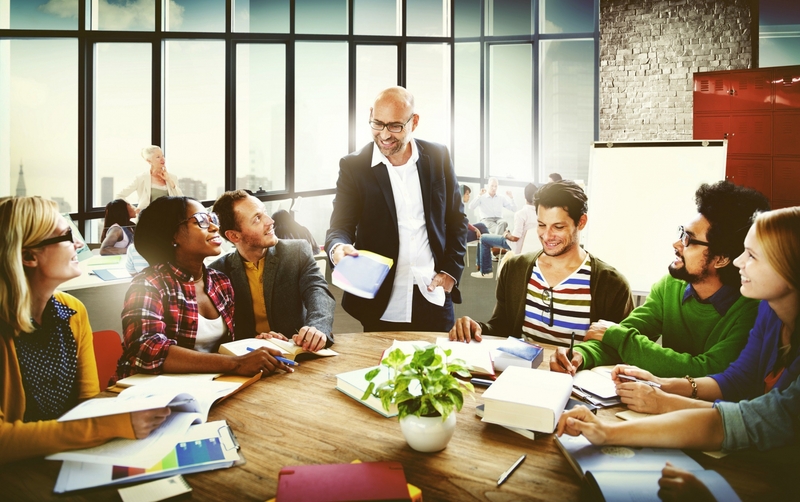 We work with ACE to turn their expertise into high-quality training for the education, law, youth, local authority and social care sectors. School Exclusions, School Admissions and The SEND Code of Practice are three courses we have written in partnership with ACE Education. ACE Education are also writing a course for us on Attendance. 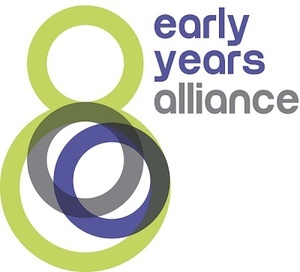 The Early Years Alliance is the largest early-years membership organisation in England. Since it was founded 50 years ago, the Alliance has developed into a leading educational charity providing practical support and resources to over 14,000 early years settings and they make a positive contribution to the care and education of over 800,000 young children and their families each year. EduCare and the Early Years Alliance work together to deliver free and subsidised training to thousands of the Alliance’s members and it is proving to be one of their most successful member benefits. Many of our courses that are developed in conjunction with the Alliance are available for general sale. Childcare.co.uk is the UK’s largest childcare and tutors online social networking platform for parents, childcare providers and private tutors. EduCare has teamed up with Childcare.co.uk to provide their gold members with free access to a range of EduCare’s safeguarding and duty of care courses. The Scottish Childminding Association is the only organisation dedicated to supporting childminders in Scotland. Around 80% of Scotland’s childminders are members of SCMA, and their main aim is to promote childminding as a quality childcare service. Together the SCMA and EduCare have developed twelve Learning courses to ensure SCMA members have access to the essential skills and knowledge for their childminding business. Employing 4,500 staff and over a thousand volunteers across 63 sites, West Midlands Ambulance Service NHS Foundation Trust is the second-largest, top performing ambulance service in the country. As well as delivering child protection training to all their staff, EduCare and WMAS have worked together to create our First Aid Essentials course. Designed to give a practical guide on how to handle an incident that may require first aid, the course distils some of the Service’s knowledge and expertise gained by treating over 1.5 million patients a year. Secured by Design is a group of national police projects that acknowledge products and services with their prestigious seal, awarded to recognise those who reduce the risk of crime or fear of crime. They endorse a wide range of our courses including Child Protection Level 3 and The Prevent Duty. 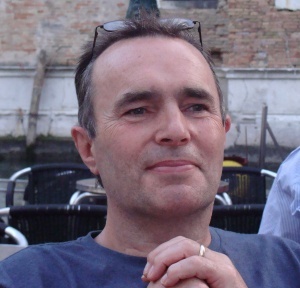 Jonathan Taylor MSc is an author, Social Media & Online Safety Consultant, and former Covert Internet Investigator within the Metropolitan Police Child Abuse Investigation Command. Jonathan is the E-Safety Consultant for EduCare and wrote our Child Sexual Exploitation and Online Safety courses for educators and safeguarding professionals. 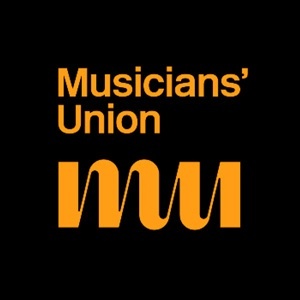 The Musicians' Union (MU) is an organisation which represents over 30,000 musicians working in all sectors of the British music business. Child Protection in Education (Music), is a bespoke online course developed by the Musicians' Union in partnership with EduCare. The National Association of Independent Schools & Non-Maintained Special Schools (NASS) is a membership organisation working with and for special schools in the independent, voluntary and private sectors to improve opportunities and standards for special schools outside of Local Authority control. NASS is an endorser of EduCare’s safeguarding and duty of care courses. RoSPA works to change both legislation and attitudes surrounding accidents and has been instrumental in shaping our society for the better, preventing millions of deaths and serious injuries along the way. 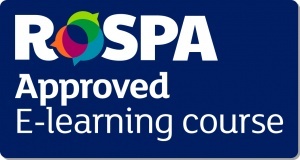 Our Health & Safety, Food Hygiene & Safety and Fire Safety courses are all accredited by RoSPA. The Institute of Fire Safety Managers aims to raise the awareness of fire safety through promoting fire prevention, fire protection and reducing the risk from fire. The EduCare Fire Safety courses are all accredited by The Institute of Fire Safety Managers. AISA is a membership community committed to professional learning that transforms student learning. All members are entitled to a 10% discount off EduCare for Education®. The Girls’ Schools Association represents the heads of many of the top performing day and boarding schools in the UK independent schools sector. They have an international affiliate membership and are a member of the Independent Schools Council. GSA members are entitled to a 10% discount off EduCare for Education®. Wakefield’s Registered Childminders are able to purchase our Child Protection Level 3 training course for a discounted rate of £45. The national governing body for squash in England lead the development and delivery of the sport on both a national and local level. All members qualify for a 15% discount off our Child Protection in Sport training course. SET has teamed up with EduCare to offer their members a package of online learning courses which have been chosen to support teacher’s continuing professional development (CPD). The SET online CPD package is available to members for £19.99 and includes ten of Educare’s most popular online learning courses. The Society of Radiographers is the only body in the UK representing the whole of the radiographic workforce. The SCoR has partnered with EduCare to create a bespoke online learning service that provides essential leadership courses to their members. The National Ice Skating Association work with EduCare to offer courses to NISA qualified coaches and encourage them to invest in their own continued professional development. They are able to purchase a bespoke package of three online courses as an induction and benchmarking service for NISA licensed coaches. The Education Network is a leading education recruitment agency finding jobs for permanent and temporary education staff and teachers nationwide. The Education Network take safeguarding and duty of care seriously and offer selected EduCare courses to key schools they are working with. West Country Educational Agency provides supply and permanent Teachers to the West Country. They require all candidates who register with them to have an up-to-date Child Protection certificate and provide our Child Protection training course at a discounted rate to their candidates. CSAS have a bespoke package of seven online training courses which they provide for free to all their catholic schools and community groups to access. The vision of AMS UK is to provide high-quality services and support for the development of excellence in Muslim schools. Member schools are able to purchase our EduCare for Education® e-Learning service at a discount through AMS UK. All CDMT Recognised Schools and Teachers are entitled to discounts from a range of our Safeguarding and Duty of care e-Learning courses. The Independent Schools’ Bursars Association have produced two bespoke online training courses with us which are accessed by their members. The courses offer a comprehensive online introduction to the statutory safeguarding regulations for independent schools and their health and safety responsibilities. Connect are Special Education Needs and Disabilities (SEND) specialists with more than 25 years of experience building SEND awareness. EduCare work with Connect on our three SEND Awareness courses which cover Dyslexia, Autism and ADHD. The National Governing Body’s staff, including the Home Nations and the Triathlon Trust, are committed to undertake online Child Protection, Safeguarding Young People and Equality & Diversity training through EduCare. In addition, all British Triathlon Affiliated Club Welfare Officers are offered access to our complete e-learning service for the Sports & Leisure sector, EduCare for Sport®, free of charge. 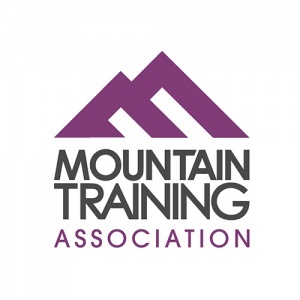 The Mountain Training Association (MTA) is a membership organisation set up by Mountain Training to support people working towards their qualifications and develop people who already have them. Now well established with over 4,000 members it is the nationally recognised membership organisation for climbing, walking and mountain leaders in the UK and Ireland. The MTA are committed to fostering progression and encouraging good practice, and as part of this, all Mountain Training award holders are encouraged to complete safeguarding training. The relationship with EduCare allows MTA members to access EduCare for Sport® package of safeguarding training courses at an exclusive discounted rate. Sported is one of the leading Sport for Development charities in the UK, helping more than 3,000 community sport and youth groups survive and thrive. Sported use sport to transform the lives of disadvantaged young people and build stronger, safer communities. 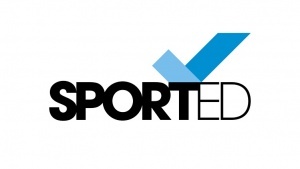 EduCare has teamed up with Sported to provide Sported members EduCare for Sport® of courses at an exclusive discounted rate. EduCare is a member of BASPCAN, a registered charity that provides education and professional development opportunities for child protection professionals. We are also Silver level sponsors of their leading International Congress event. Mentor is the UK’s leading charity working to prevent alcohol and drug misuse among children and young people and is EduCare’s expert partner for our Substance Misuse training course. Return2Play are the leading sports medicine company which provides world-class injury management solutions to grassroot sports and education. Return2Play are the partners for EduCare's Concussion Awareness training course which is available to buy online and is also included within our training course packages - EduCare for Education® and EduCare for Sport®. Want to write or endorse an EduCare course? Would you like exclusive discounts for your membership? Do you need a bespoke, customised solution?